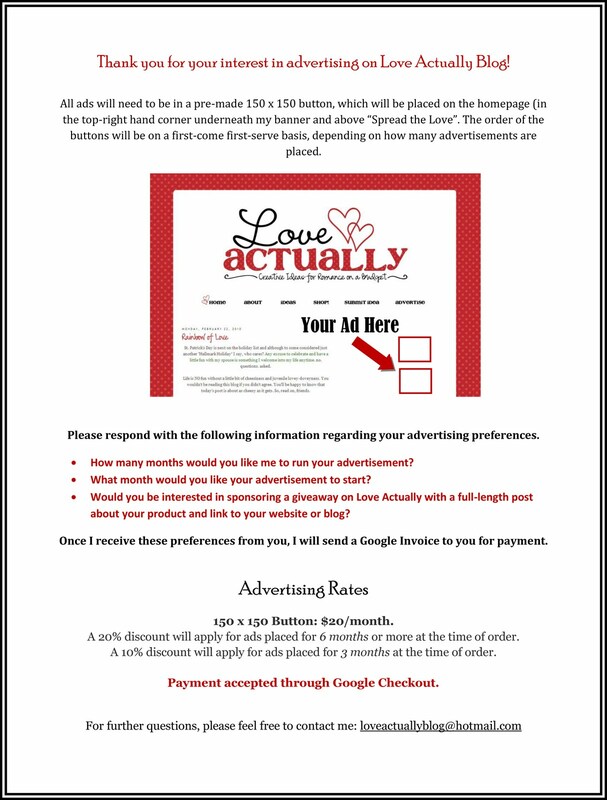 Love Actually Blog is THE source for dating, engaged and married couples to go to for the most applicable, original, and creative date and romance ideas on the web! Love Actually has spread its influence around the WORLD, currently with 4,000+ public followers and even more following privately! The continued growth of Love Actually is certain. 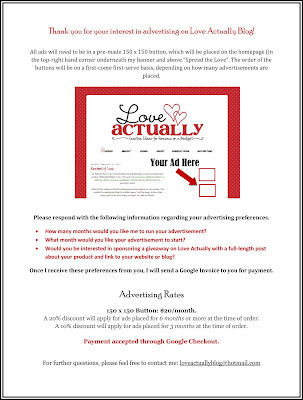 You can be sure that your advertising dollars are in loving hands here on Love Actually. 150 x 150 Button: $20/month. A 20% discount will apply for ads placed for 6 months or more at the time of order. A 10% disocunt will apply for ads placed for 3 months at the time of order. Payment accepted through Google Checkout.